What better time to share a Query Kombat success story than before the final round? Publishing is a long game. You tend to hear about the overnight successes, which is one reason it's so important to celebrate the stories that take a bit longer to find their homes. Today, we're hearing from Magali A. Fréchette about her journey to publish MY SOUL TO GIVE - available today! Congratulations, Magali! I've loved this concept since I first read the query, years ago. I was a contestant in Query Kombat 2016, and although I made it into the first round, that’s as far as I went. However, I did end up getting great feedback on my query, and it helped me along the way for future queries. It even helped me fix part of the story I realized didn’t work through the query itself. Now, the story I entered for the contest isn’t the one that got published (although, I’m still querying that one! ), but I did want to mention something here. The writing community on Twitter, these contests like Query Kombat, Nightmare on Query Street, Sun vs. Snow, and all the Twitter pitching contests did get me where I am today. I remember when I was feeling really low about not getting into one of these contests, Michelle (amongst many others) reached out, made sure I was feeling better, and offered all the help and the support she could. And that’s the greatest thing for a writer; a community. There are lots of people I want to thank for getting me here, and these contests, and their hosts are definitely among them, so thank you! MY SOUL TO GIVE is an Adult paranormal mystery romance inspired by a dead tree the neighbourhood kids, my sister, and I didn’t like approaching (sounds weird put like that, I know, but I swear, the story doesn’t actually revolve around a tree!). From there, a story was born. I’d been querying my manuscript since I finished it back in 2014. It wasn’t my first story, though; it was actually my 19th. After many, many rejections, I was beginning to give up hope for this manuscript, but I’m glad I never gave up on it. It changed a lot from what it once was (original was so dark and depressing…and disturbing lol), but I love what it is now. Just to give an idea, this book went through over 72 edit rounds (not kidding), three revisions, and one rewrite. I can’t even count how many times the query was redone, but you can imagine. A lot of people told me to move on, and write something else (which, I did since I’m on manuscript #25 now), but I just wouldn’t – couldn’t – give up on this one. It meant a lot to me, and after putting so much work into it, I wasn’t ready to shelve it just yet. And all that hard work made it what it is today, and I have no regrets. On February 21st, I found Evernight Publishing. I’d seen them before, and loved their covers, read their books – but I had waited since I already had eight queries out. I wanted feedback to see if my query was good enough now, or if it still needed work. Finally, that day, I decided to stop waiting, and queried them. And on April 7th, they emailed me back and offered me a contract to sign my book with them. To say I was ecstatic would be an understatement! After going back and forth with them, I realized how lucky I was to be publishing with them. From answering my questions, setting me up with a wonderful editor, an artist who did a fantastic book cover, and a marketing manager who has been giving me wonderful and helpful advice, and explaining everything step by step on how the press works – it’s just been all surreal, and I love every second of it! I plan on writing a sequel to this book, and query Evernight again for it; crossing my fingers I get a second book deal with them because they really are a fantastic press to publish with, and I look forward to working with them for many years to come. Moral of the story? Keep writing, yes – but don’t give up on that manuscript you really want published. It may have to change, go through more edits, and even be rewritten, but eventually, it will find a home! 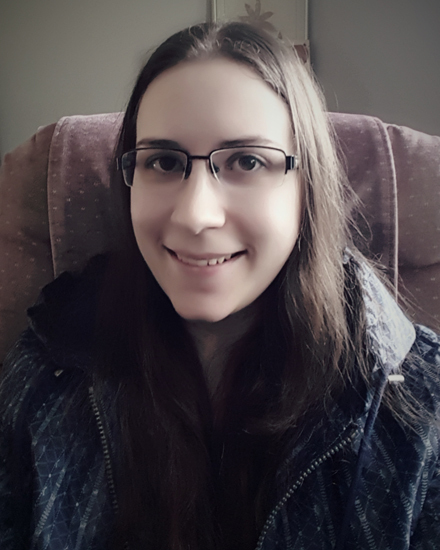 Magali A. Fréchette writes paranormal, dark fantasy, and thrillers, but always with a side of romance as she enjoys all things dark and sweet. Full-time single mom, photo manipulation artist, and gamer, she loves spending most of her time writing. She also enjoys reading, watching TV shows, and pizza. While, in her heart, home will always be in Ottawa, Ontario, she currently lives in Winnipeg, Manitoba. She has completed a Bachelor of Social Sciences with a Major in Criminology. Bilingual – French being her first language – and has a passion for Japanese.